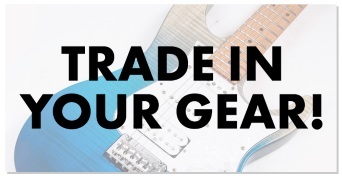 A Guitar, Gigbag, Strap, and Spare Strings Megadeal! The Epiphone ES-339 PRO has its roots in the classic era of semi-acoustics - the era that defined the Epiphone and Gibson Kalamazoo factory as a leader in cutting edge instruments. Today, the Epiphone ES-339 turns back the clock to this golden era, while simultaneously rocketing the semi-acoustic into the future. Original introduced in the late '50s, ES series guitars were instant classics. 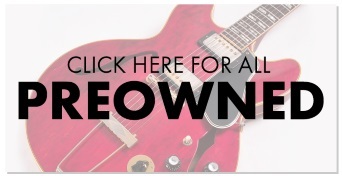 They brought that archtop feel to players who had wholly recently embraced the solid-body. The first in the ES series was the ES-335, an amazing guitar no doubt, but one many players have always felt was a little too big. Based around a size that's more like a Les Paul, the ES-339 is the a perfect for you if you're one of these players. With its reduced size laminated Maple body with solid centre block, SlimTaper "D" profile 24.75" Mahogany, hand-set and glued neck, 22 jumbo frets with a 1-11/16" nut and 12" radius rosewood 'board, the ES-339 is a great combination of classic and modern. With single ply cream binding on the fingerboard and body completing the classic look. The Epiphone ES-339 pickups give you a huge variety of sound choices for the modern guitarist. The Alnico Classic PRO and Alnico Classic PRO Plus humbucker pickups are designed to make a variety of tones and the push/pull coil tapping adds a extra layer of versatility. The classic Epiphone hardware you've come to know and trust makes the ES-339 a must-have guitar. Featuring Epiphone's LockTone Tune-o-matic bridge and LockTone Stopbar tailpiece, the ES-339 sports all nickel hardware along with Grover Deluxe 14:1 ratio Vintage machine heads with Tombstone buttons. The ES-339 is for you if you're looking for a versatile, professional instrument that's capable of crunch, rock, jazz, country, and stinging blues.